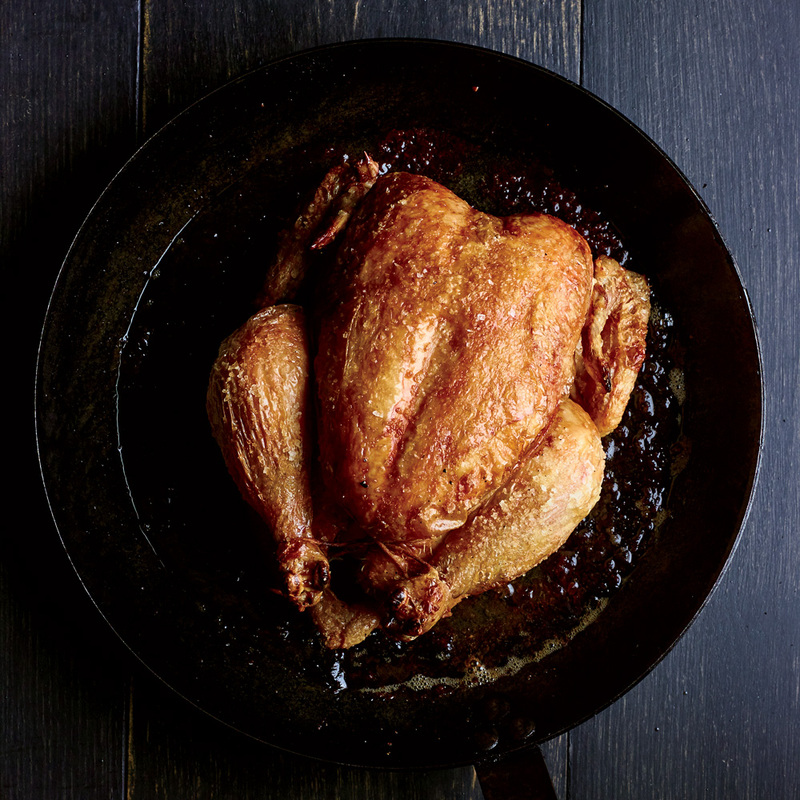 You can forget all about flabby-skinned grilled chicken. We’ve all been there. 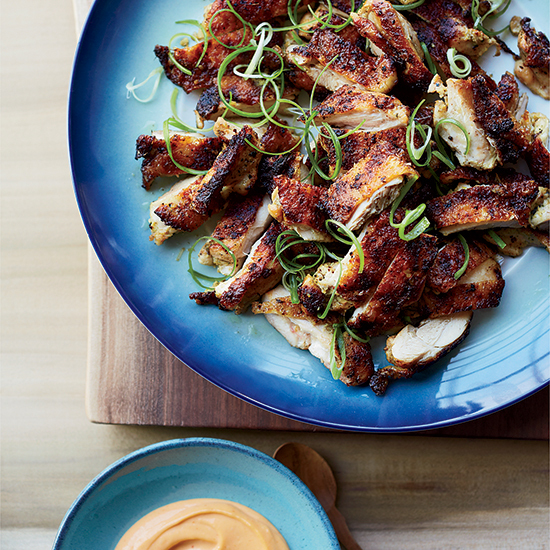 You put hours into marinating your chicken only to end up with sad, flabby, who-wants-to-eat-this skin. Well, fret no more because we have an incredibly easy, no-brainer tip for getting flavorful grilled chicken with extra-crispy skin. It’s this simple: keep the skin out of the marinade. To do this, pour the marinade into a shallow baking dish. Arrange your chicken skin-side up in the dish, making sure the skin is not submerged. The meat is the part that absorbs the flavor of the marinade anyway, so you aren’t losing anything by keeping the skin away from the marinade. Then, let your chicken marinate—uncovered—in the refrigerator, so the skin is exposed to the air and can dry out a little. This extra step will help it crisp up during cooking. Before grilling, remove your chicken from the marinade, letting any excess drip back into the baking dish, and gently pat dry. Season the chicken skin with salt and grill skin-side down over moderately-low heat until the fat has rendered and the skin is nice and crisp. Keep the heat low—if it gets too high, the fat will sear and not cook slowly and melt away. Flip the chicken and grill for a few minutes skin-side up until cooked through. If you’re trying to do this with barbeque sauce and still want to have a slathered, saucy piece of chicken, follow these same steps, and right before you flip your bird for its final sear, give the meat-side a generous coating of sauce. The skin should stay pretty crispy after all of that careful rendering, and the sugary sauce won’t have time to cook down or scorch. And there's one last thing: When it’s time to take the chicken off the grill, let it rest for at least 10 minutes, but do not cover it with foil. The foil will trap in any steam rising from the meat, softening that crispy crust you just worked so hard for. 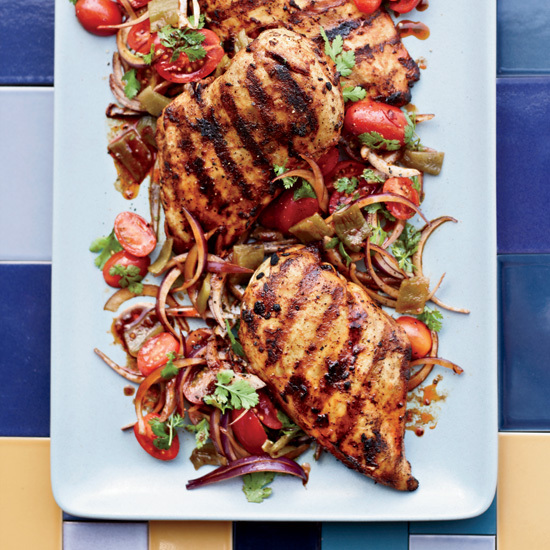 To try out this trick at home, make these Extra-Crispy Marinated Chicken Thighs from chef Josiah Citrin and check out these 38 grilled chicken recipes.